What's it going to take to put you in this car? 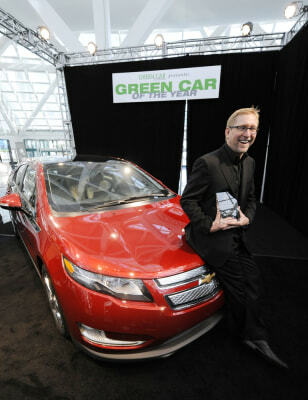 GM’s U.S. marketing chief Joel Ewanick accepts the Green Car of the Year Award for the Chevy Volt at the Los Angeles Auto Show. Earlier in the week the car won the Motor Trend Car of the Year and Automobile magazine’s Automobile of the Year awards.